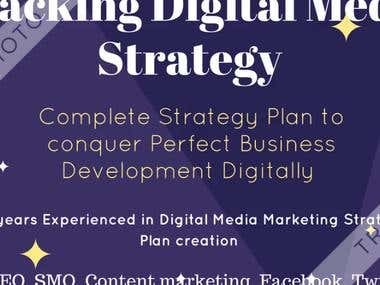 Professionalise with Market Research, Business Planning and Digital Media Strategy Planner (ASO, SEO, SMO, PPC- GOOGLE certified STRATEGY PLANNER), VIRTUAL PROJECT MANAGER, Technical doc making (SRS) AGILE SCRUM CERTIFIED FROM SCRUM STUDY USA. 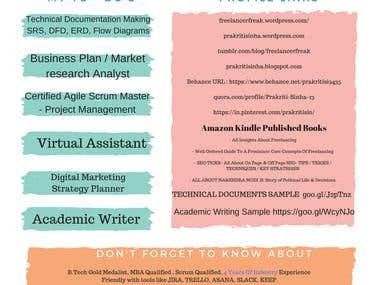 FULL-TIME FREELANCER & Ready to work anytime. MY USP. 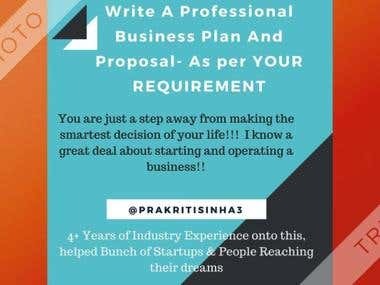 5 years of industry experience with: Technical Writing - SRS making Technical Flow Diagrams Market Research Business Plan SEO Strategy making SMO Content Marketing VIRTUAL Project Management ASO I can help you with preparing Technical Feasible Documentation which can help you getting VISA ( in case of ON-SITE development), Business Plan making ( applying for STARTUP / BUSINESS LOAN), Market Research(Pitching investor). 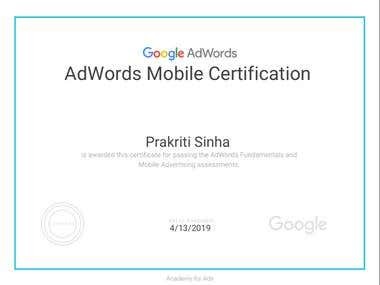 Perfect Digital media Planner, GOOGLE CERTIFIED WITH Google Adwords and Mobile Adwords. Can perfectly help you with SEO, ASO, SMO strategy planning for any sort of business domain. Strategic Consulting, including business plan & IT sales strategy development. 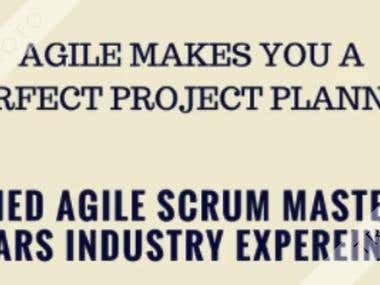 AGILE SCRUM CERTIFIED FROM SCRUM STUDY USA. Master at Academic WRITING AS WELL. As per your respective University Format, Alignments, References, In-text Citation with REAL LIFE EXPERIENCE. EXPERTIZE AT ACADEMIC AND NON-ACADEMIC WRITING. 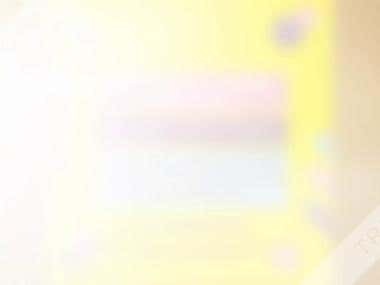 REPORT WRITING, BUSINESS PLANNING, MARKET RESEARCH. Was involved in strategy planning and business analysis preparing. Then involved with client and team for requirement analysis, and working flow. Was keen involved with SEO, SMM & PPC. 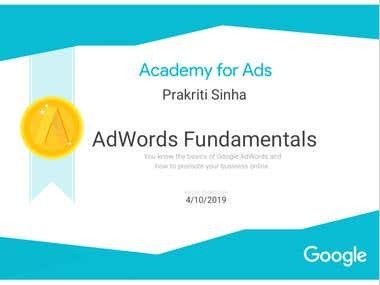 Successfully completed the certification course of Digital Marketing and received the certificate of success. Certified course of business planning and analysis. Attended Virtual Training sessions as well. 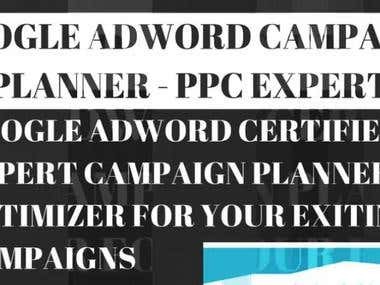 Series of article of campaign planning over PPC, SEO, SMM over FB, twitter, linkedin, quora, pintreset, tumblr.